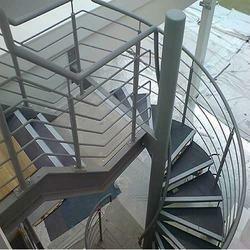 We are also engaged in providing MS Steel Fabrication. Fabrications has proven capabilities in heavy and light fabrications in materials such as mild steel, aluminum and stainless steel. The innovative, elegant and beautiful designs of our Stainless Steel Grills have made these highly demanded in the market. We welcome queries for Storage Tanks & Fabrication Services from South India region including Andhra Pradesh, Karnataka, Kerala and Tamil Nadu & cities like Bangalore, Chennai and Hyderabad. We are engaged in providing MS Steel Fabrication. The innovative, elegant and beautiful designs of our Stainless Steel Grills have made these highly demanded in the market. In addition, our range is also acknowledged for its high strength and sturdiness. Various parameters like size, design and other aspects are taken into account during the fabrication. We are involved in design of Structural Steel Design Work using STAAD. We can perform design works for various industries ranging from power/water/oil&gas/industrial buildings/general buildings and structures. We can also perform concrete designs for slabs, beams, foundations, equipment foundations etc. We can generate fabrication drawings, bill of materials and also prepare specifications if required for the civil and structural works. 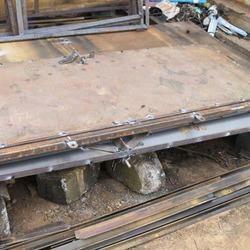 Looking for MS Steel Fabrication ?